This year's Castine Classic Yacht Regatta, sponsored by the Castine Yacht Club, will honor two of the world's most famous yachts, Dorade and America. The 52' yawl Dorade, designed by Olin Stephens in 1929 at age 21, took the sailing world by storm, scoring decisive victories in 1931 in the Transatlantic and Fastnet Races – to be greeted upon its return to New York with a ticker-tape parade from the Battery to City Hall. Dorade then went on to take her class in the Bermuda Race in 1932 and to win the TransPacific Race in 1936. Over 77 years later, under the stewardship of Matt Brooks and Pam Rorke Levy, Dorade has just achieved amazing success in these same races. "Dorade's return to ocean racing is one of the great stories of yachting, both classic and modern," commented Douglas Adkins, author of the definitive biography of Dorade. "With astonishing performances in the great races of the Pacific and the Atlantic, Matt Brooks and Pam Rorke Levy have burnished Dorade's reputation as one of the greatest yachts of any generation." The rakish schooner America, sailed by Troy Sears, is the official ambassador for the 2017 America's Cup, the oldest trophy in international sport. 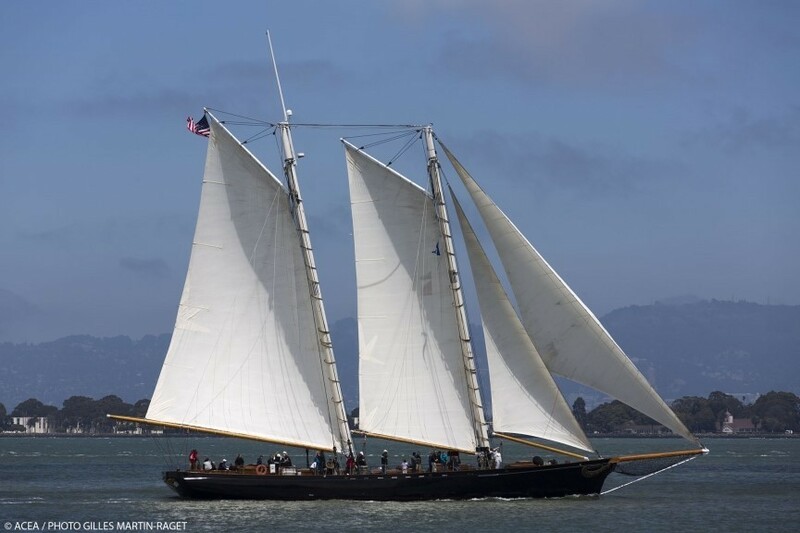 America is a 139' replica of the vessel which started the America's Cup tradition in 1851 by defeating the British to win the Royal Yacht Squadron's "100 Guinea Cup." These iconic yachts will be on exhibition at the Castine Town Dock starting at noon on August 3. At 4 PM, they will be honored at a symposium in Delano Auditorium at the Maine Maritime Academy where Doug Adkins will chair a panel of distinguished skippers and historians. The seventeenth annual Castine Classic Yacht Race to Camden will set sail from the Castine harbor bell at 11:30 AM on August 4. This 20 nautical mile race, which feeds into the Camden to Brooklin race on August 5 and the Eggemoggin Reach Regatta on August 6, is expected to attract a magnificent fleet of Classic and Spirit of Tradition yachts, according to David Bicks, chairman of the Castine events. The race notice/entry form and sailing instructions for the Castine to Camden race will be available at www.castineyachtclub.org. Information on Camden to Brooklin race and Eggemoggin Reach Regatta will be available at www.erregatta.com.